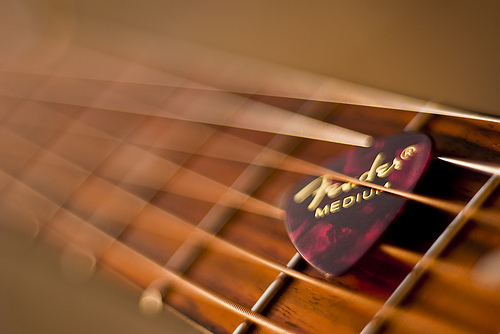 Music Costs > How Much Does It Cost to Ship a Guitar? How Much Does It Cost to Ship a Guitar? Whether you just sold your guitar on eBay and need to ship it to a buyer or back to a factory for warranty work, the shipping, of course, will come at a price. The cost to ship a guitar will depend on how it’s packed, which shipping provider you choose, the shipping method and just like sending mail, where it’s being shipped from and to. On average, if you’re going to ship a guitar in a hard guitar case, then most of the estimates we received were anywhere from $40 to $115 within the United States, but if you were to use something known as a gig bag, then this could drop the costs to as little as $35 to $75 due to the gig bag weighing much less than a guitar case — often by as much as 12 pounds. This estimate should include insurance, often up to $2,500, a tracking number and signature upon delivery. A post on Menga.net talked about the costs to ship a guitar if you were to sell your guitar on eBay, for example. According to their estimates, they recommended the UPS Store for a few reasons. For starters, they will take care of the packaging and boxing, saving you money on materials. Secondly, they will take care of any forms, and lastly, as a third reason, from start to finish, you can track the shipment the entire time. From their estimates, they said a guitar in a case will cost about $100 to $150, but a gig bag could cost $75 to $90. According to a few members on this TheGearPage.net forum thread, one member said he paid $50 in a hardshell case via UPS with signature confirmation and $1,000 in insurance, while another said he paid $85 for FedEx Home Delivery services. Another member paid $106 to ship a guitar from New Jersey to California with full $2,500 insurance. On another forum thread, this time at AcousticGuitarForum.com, one member said he shipped countless guitars across the United States and always seemed to pay about $50 to $60. A few other members replied, with one member saying he paid close to $100 when UPS, whereas another said he paid $32 to $47. Adding insurance to cover the value of the guitar in case of theft or loss of shipment can be an additional cost. FedEx, for instance, charges $0.90 for every $100, while UPS will charge a similar price. Both companies have different rules in regards to insurance, so it’s best to talk with the company directly in regards to your shipment. Always compare prices with the big three: FedEx, UPS and the USPS. All three of these companies allow you to play around with their online calculator to see what it will cost you. As long as you have the weight, dimensions and the final destination address, you will be able to determine your final numbers. As with all shipping methods, the slowest and fewer bells and whistles you need, the cheaper it’s going to be. Of course, an overnight delivery will cost much more than a 3-day delivery. As mentioned, always consider a gig bag instead of a hard case during transit. Dropping the shipment weight by more than 10 pounds could save you more than $30. With that mind, even if you have to invest in a gig bag, it could still save you a few extra dollars, even after investing in one. If you want to purchase your own shipping supplies, you may be able to find a box in good condition they are throwing out at a local guitar retailer. Even if they don’t, they may have some for sale for a cheaper price.